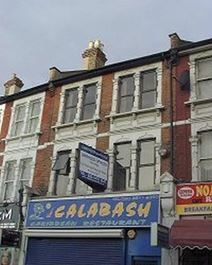 Renovated Edwardian premises in Ilford town centre, close to the train station and links to the M11 and M25. 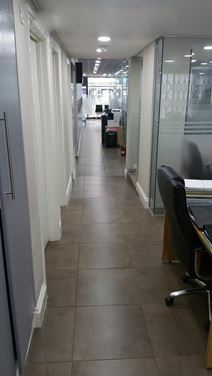 Offices are fully furnished and have 24 hour access. Security and cleaning services are available. There are many eating and drinking establishments, and a major shopping centre in the immediate vicinity. 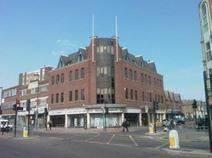 Unbranded offices in Ilford town centre near to the station and with pay and display car parking to the building's rear. This area is home to a good selection of shops and restaurants and the premises would suit small starter-companies. This state of the art building boasts excellent facilities and competitive prices. 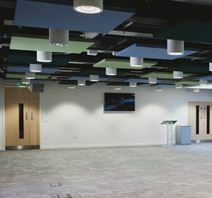 Utilise the meetings rooms, banqueting halls, conference space, dance studio, photo studio and auditorium. Need a break? Head up to the roof terrace or relax in the onsite cafe. This facility is full scalable and is perfect if you're looking for hot desking or a co-working space. With excellent network opportunities, why not start today? Located in the heart of Ilford, close to all local amenities, restaurants, cafes and bars, there's plenty to get up to in your out office hours. Just three minutes from Ilford train station and plenty of access by local bus routes, it'll make for an easy daily commute - even take advantage of the parking onsite if you're driving to work. 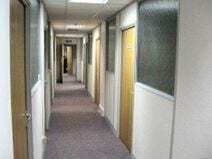 Five minutes from Ilford town centre these high-quality serviced office provide workspace for up to 10 people in a premium commercial building on the corner of Coventry Road. Ilford Railway Station is just a short walk away, connecting the centre with London Liverpool Street, and there are bus services operating in the area. Ilford has shopping options, including Primark, Marks & Spencer and Debenhams. 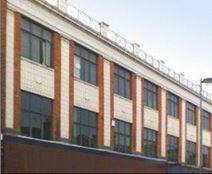 With office benefitting from excellent natural light this building is fantastically located in Ilford, just five minutes from the station and surrounded by cafes, restaurants and shops. 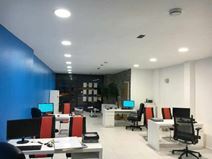 Located in Ilford, this business centre is surrounded by a range of cafes and restaurants, as well as a number of shops for you to make use of. 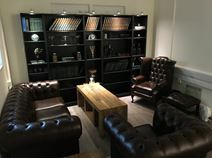 The space has recently been refurbished to a high standard, and offers excellent on-site amenities including access to kitchen facilities, break-out and lounge spaces for more informal meetings, a professional, friendly reception team, IT support and a boardroom. Based on Cranbrook Road, Ilford, this centre boasts an impressive design within its walls, with modern glass wall offices, tiled floors and high quality finishings. The centre also has air conditioning, CCTV, kitchen facilities, 24hr access and WiFi. The centre is just a stone's throw from a wide range of high-street shops, and is also just 2-minutes walk from Ilford station, which has direct access to Liverpool Street. Centrally located in a prime Cranbrook Road location, these modern serviced offices in Ilford benefit from efficient reception services and onsite car parking facilities. This three storey development offers fully furnished offices and meeting rooms with hi-tech communications facilities. Security and entry are provided around the clock. The building is very close to Ilford train station, on the London Liverpool Street line, and there is ample car parking in the vicinity. 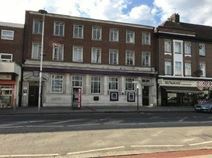 With a convenient location on the Ilford High Road, this centre provides competitively priced offices on flexible terms. All spaces are fully air conditioned and boast large windows. Ample parking is available. This space is located amongst a number of local amenities, including a post office and a handful of places to eat and drink - great for lunchtimes and before work. There is 24-hour access and excellent on-site amenities, which include conference facilities, meeting rooms, air conditioning, printing and copying facilities, videoconferencing and a professional management team. Parking spaces are available on-site. 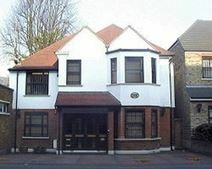 This building provides newly refurbished office space with many great facilities. The modern office units have large windows, allowing lots of natural light to flow into the work space. Tenants can benefit from fast internet, 24 hour access and CCTV surveillance. There are eight office units available to rent and are ready to move in immediately. Located in close proximity to many great transport routes, this work centre is accessible for commuters.